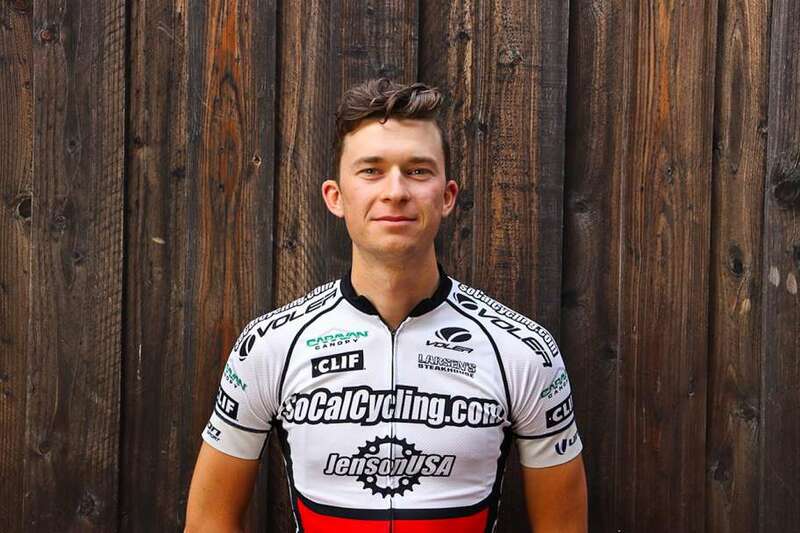 Callum Gordon came all the way to Southern California from New Zealand (along with Ethan Batt and Cullen Browne) to race for the 2017 SoCalCycling.com Team to help elevate the Team with his former experience. Callum became the designated team leader at stage races as he seemed to take on the races with ease. Whether Callum was doing a Crit, Stage Race or Road Race, he became a more versatile and consistent rider than he had thought he was. Callum would often find himself in the breakaways and put himself in the field sprints to sprint with the top sprinters on the SoCal scene. SoCalCycling.com has been sponsoring the SoCalCycling.com Team for 13 years and has been helping up and coming riders that are coming through the ranks. It was great to see the Team and Callum have such a successful season. SoCalCycling.com: How long have you been cycling for? Callum Gordon: I have been cycling for the best part of 10 years on and off beginning with mountain biking then finding my passion in road cycling. SoCalCycling.com: How did you get into racing and did you come from another sport? 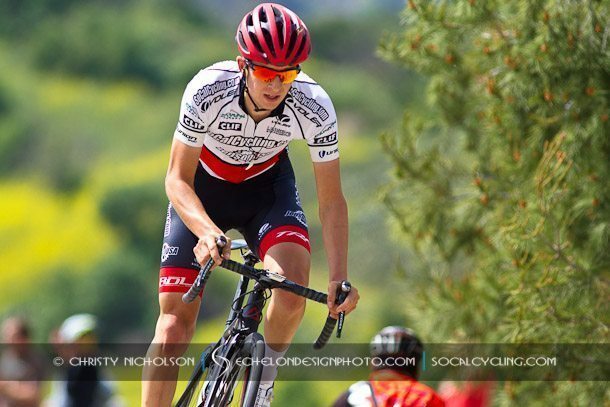 Callum Gordon: Bike racing for me started of on the dirt with mountain bike racing then I made the switch to road cycling because the club environment in my home town was much stronger and competitive, it gave me room to grow and improve. Callum finished 4th overall at the San Dimas Stage Race. SoCalCycling.com: Do you like the terrain in California for training and racing and where is your favorite spot to train and why? Callum Gordon: Being based out of Thousand Oaks I really can’t complain about the amazing training grounds I have to work with here. My favourite training spot would be the Malibu hills no more than an hour bike away. 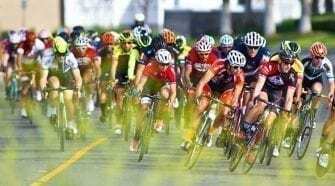 SoCalCycling.com: What race has been your favorite race so far in California and why? Callum Gordon: I think Victorville Omnium was one of my favourite races, simply because the decimation Ethan (Batt) and I created by going from the gun and holding our own to the finish. 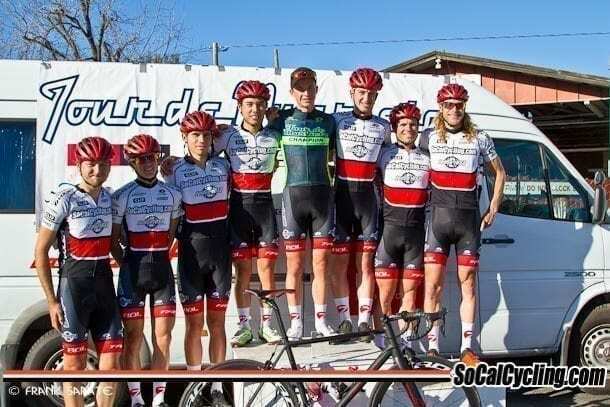 SoCalCycling.com: According to Ethan Batt (your SoCalCycling.com Team teammate here in California and on the Skoda U23 team in New Zealand), he seemed surprised that you could sprint. What type of rider do you consider yourself? Callum Gordon: Before coming to America I was a pretty confident all-rounder but quickly discovered I had a hidden sprinter inside me, so it turns out I’m a handy criteium rider, as well. Callum won the Overall GC at the Tour de Murrieta. SoCalCycling.com: What type of races do you like to do? Callum Gordon: Back home my ideal racing is hilly and technical courses but I’ve become quite the crit racer well state side. SoCalCycling.com: Tell us what you like to eat for Breakfast, Lunch and Dinner when you’re racing and training and maybe what you like to indulge on. Callum Gordon: For me breakfast is the best part of the day, I like to take my time to really enjoy the moment haha. I’ll start off with a few eggs, spinach and toast with a coffee or tea. Lunch is sometimes a hit or miss depends on my ride. I could be out riding and eat on the bike or it could be a quick tuna salad. My dinners I like to have a lot of protein to get me through the night not snacking, salmon or chicken is my choice. Something to indulge on would be chocolate pop tarts or just any candy in sight, I’m not one to hold back on the good things in life, its to short not to have it. SoCalCycling.com: What type of music do you like to listen too when your on the trainer or just chilling out? Callum Gordon: I think anyone that knows me will vouch that I’m a little obsessed with Eminem, it just gets me in the right head space for the erg (trainer), but when I’m just chilling trying to wind down I like a bit of Tame Impala. 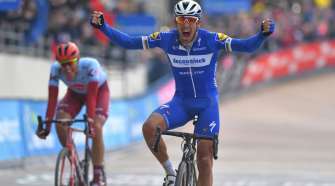 SoCalCycling.com: Who is your biggest influence in cycling or role model? Callum Gordon: To be honest I don’t have a role model, I’m just out here trying to be the best Me and to keep improving. 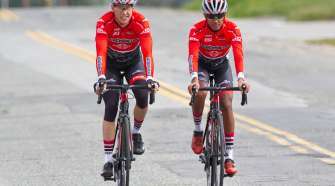 SoCalCycling.com: What advice would you give to aspiring up and coming riders? Callum Gordon: I think the biggest thing I could say would be to just enjoy the ride and have fun with it explore new roads and paths, cycling doesn’t have to be so serious.